Made of cloth, table banners are a distinct alternative to traditional tablecloths or runners. They are reusable year after year and are the perfect way to decorate for a special occasion. Loved this and the other one I bought. I want more! These are wonderful. I used Land that I love for the 4th of July, and everyone noticed it on the table. 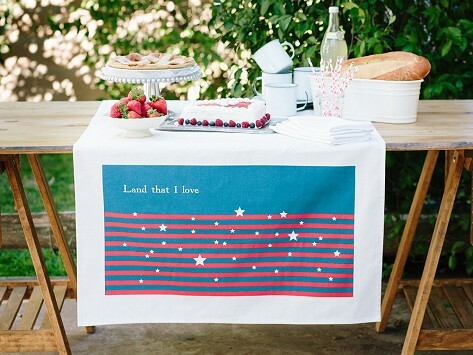 Cute, but the ‘banner’ is only on one side of the table runner. Whether you’re decorating for Thanksgiving, 4th of July, or a cocktail party, these banners herald a fabulous time is about to begin.